The duck call is a skill every beginner needs to learn. It can be a little intimidating when you are first starting out, especially if you don’t have an experienced friend or mentor willing to show you the ropes. Your job as a beginning duck hunter is to learn all you can about the various types of duck calls, their specific uses and results, and the correct – and incorrect ways to use them. To help more people feel comfortable getting started with duck hunting; I have gathered all the best tips to show you how to use a duck call for beginners. First things first, if you are a beginner duck hunter, you must study them in their natural habitat. 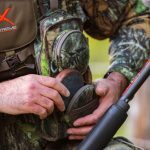 You will lay a solid foundation by getting out to some hunting spots to listen, listen, and then listen some more. Each different sound a duck makes has a meaning. There are the basic quacking, greetings, call to feed, the lonesome hen, and more. If you can learn to differentiate between these sounds, you will be one step closer to calling in ducks to your blind when the season comes. Whether you are looking for a good first duck call or whether you are planning to learn to emulate these calls yourself, you will need to know which sounds bring which results. There is no better way to learn then by hearing the real thing first. Below is a video featuring Jim King, the national duck calling champ, giving us some insights into “making it hum”. King’s advice is to perfect your 5 and 6 note quacks, and variations of this basic call. He also recommends the serious beginner to practice every single day, to the point where your family is ready to lock you out of the house! Overusing a duck call is one of the most common mistakes beginners will make. In the excitement of thinking this is a foolproof way to call ducks into the hunting area, they adopt the (incorrect) idea that if a little bit is good, more is better. However, the exact opposite is true. Overuse of a duck call is going to alert the ducks that something out of the ordinary is going on, and they will end up avoiding your area altogether. Your call timing is just as important as not overusing your duck call. A good way to work on perfecting your timing is to keep your duck call to your lips as you study the ducks behaviors. As a duck is circling and checking out your decoy, watch for that moment when it shows the first signs of confusion or hesitation. That is an ideal moment to call. Think of it as a kind of confirmation for the duck, and if your timing is good it can be the deciding factor to getting the duck within shotgun range. Once you have started a “call series”, such as a greeting and lonely hen, it becomes very important to follow through with the calls rather than stopping or changing in the middle when you see that you have the attention of a duck. You must learn to call consistently and semi-aggressively without alerting the duck and frightening him away. If a series of calls which the duck by nature is expecting to follow a natural progression, fails to follow that progression, you can pretty much rest assured the deal is off. It can be easy to become accustomed to using one duck call, but sometimes a hunter is better off switching and using various type of calls. While one call will seem to be hot and deliver consistent results, you don’t want to limit your knowledge to use of only one type of call. You will want calls which are comfortable for you to use and that you can easily master, but don’t let yourself get boxed in to one routine, because the time will come when you will need to use another type of call or two in order to get results. Work on listening to and recognizing the various notes ducks use in the wild in their calls. Getting the timing of these notes just right in your calls is important for successful hunting. The length and placement of each note as well as the note itself need to be studied and practiced on each of your duck calls. As you would imagine, a duck call is going to get dirty after a weekend sitting in the blind, and will require some basic cleaning and maintenance to keep it in good working order. The smallest amount of saliva and dirt buildup inside the call can make it ineffective by altering the sound the call makes. General cleaning is quite simple: warm tap water can be run through the duck call, or it can be soaked in a bowl of warm water containing a mild soap, and then rinsed thoroughly. Allow the call to dry naturally in a well-ventilated area, and finish by cleaning between and under the reeds with a piece of dental floss.